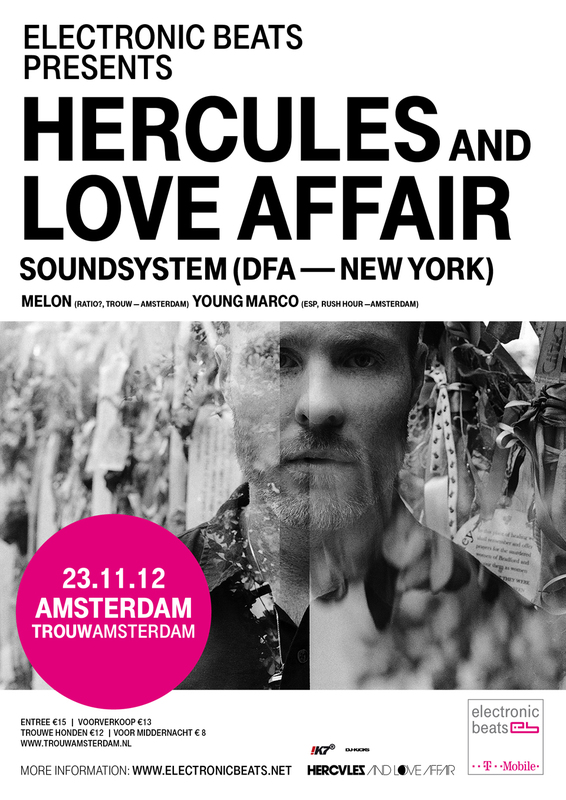 We are pleased to announce that this winter, Electronic Beats will be presenting a string of European dates featuring Hercules and Love Affair Soundsystem. The stripped back setup, featuring Andy Butler and a small coterie of singers, will kick off proceedings on November 23, 2012 at Amsterdam’s Trouw with more dates to follow. Unfortunately, this is all we can disclose at the moment, but keep your eyes on the site for further news. Here at EB, we’ve been into H&LA ever since their self-titled debut album, released back in 2008 and spawning the newly minted house classic “Blind” and in 2009 we got them to play at EB Festival Prague. Their second album Blue Songs saw BPitch Control’s songstress Aerea Negrot and vocalist Shaun J. Wright join the fray. It’s hardly a surprise that for the third album Andy Butler—as he explains in an interview published on EB today—has recruited a whole new set of performers and vocalists under the H&LA banner. Fancy getting a preview of the new line-up and material? Then you know where you need to be.